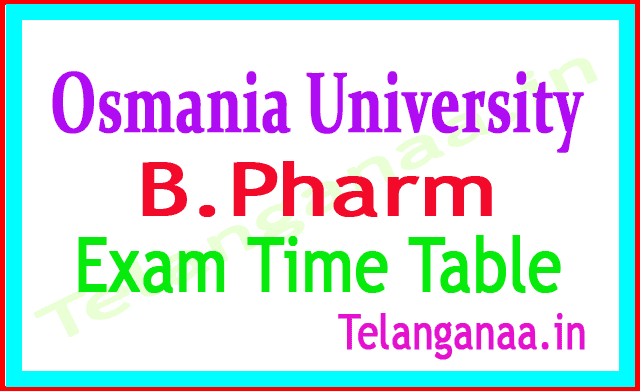 Hydrabad: Osmania University B Pharmacy Time Table 2018 was released on www.osmania.ac.in. Ou b Pharmacy Main and Backlog, supplementary examination has been issued timetable for April / May 2018. Examination Branch, OU, Hyderabad has published the timetable on the official website https://www.ouexams.in. Practical examination will be conducted after the completion of the theory examinations. The second semester of III, IV year will be regular and backlog examination and the first semester of III, IV year will commence on . The second semester takes place in the morning session from 10 a.m. to 1 p.m. and the first semester takes place from .